With the exploding adoption of software-as-a-service (SaaS) applications, enterprise IT is fundamentally changing. While on-demand services provide tremendous ROI, they also introduce new challenges that must be overcome to truly capitalize on their potential. Identity management problems such as controlling who is granted access to which applications and data and how to control access to these applications leveraging on premise directories such as Active Directory, have become increasingly important. Single Sign-On and user management solutions that are optimized for the cloud are necessary to help address these challenges. 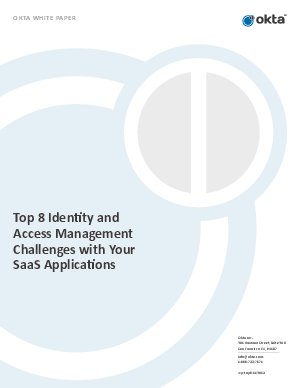 This whitepaper presents the eight biggest identity and access management (IAM) challenges associated with adopting and deploying cloud and SaaS applications, and discusses best practices for addressing each of them.